FROM beer to cheeses, smart - watches to video games, crowdfunding has snowballed over the last few years. But despite the buzz, crowdfunding has yet to hit the mainstream in Northern Ireland. Certainly there is precedent for technology using crowdfunding to develop products from virtual-reality headsets to a low-cost robotic hand. While crowdfunding clearly works for some consumer technologies, it remains to be seen whether crowdfunding is right for all electronics, software or med-tech enterprises. By going to the crowd, entrepreneurs are forced to go to market early and get immediate feedback. It builds a loyal customer base of “early adopters” and creates noise around a launch. It is also far quicker than traditional investment routes, which can take months. But, investment is not all about the money. Traditional investors – Angels and VCs – come with a wealth of experience, contacts, skills and business acumen. The crowd won’t necessarily get involved in a company, and pitfalls around sweat equity, dilution of shares and tax implications are as yet untested. Crowdfunding is a unique route to verify demand and to open the door to other forms of business funding. It can be used to validate the product, service or market, and it can help to reassure funders that there is a potential demand for the product or service into which they are putting their money. 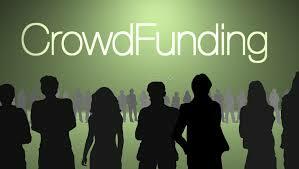 As start-up costs decrease and funders want to see start-ups commercialise early, crowdfunding fills an obvious gap. Most start-ups go to friends and family for seed funding. Effectively, the crowd acts as an extension of “friends” and “family”, offering enthusiasm, confidence and belief in the concept. So, in conclusion, while the global crowd can help a Northern Irish company get off the ground, crucially, it does not offer business advice – and this is where solid network of connections to accountants such as Cloud Accounting NI who are familiar with the sector, specialist legal advisors, Patent Law specialists, Social & Visual Media experts, as well as business mentors who have ‘seen it all before’ are essential to the success of your Startup.